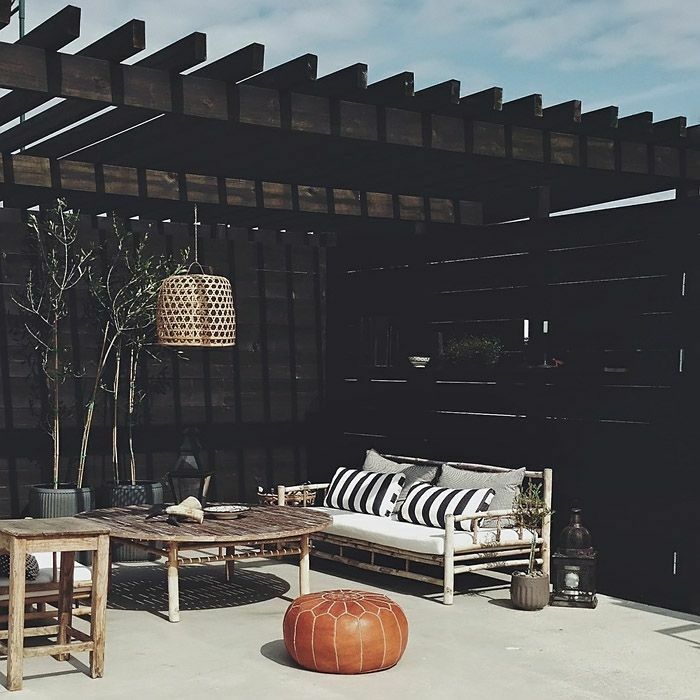 it’s safe to say that if i ever live somewhere with an outdoor area, chances are the space will be limited (if i stick to my plan of downtown living.) 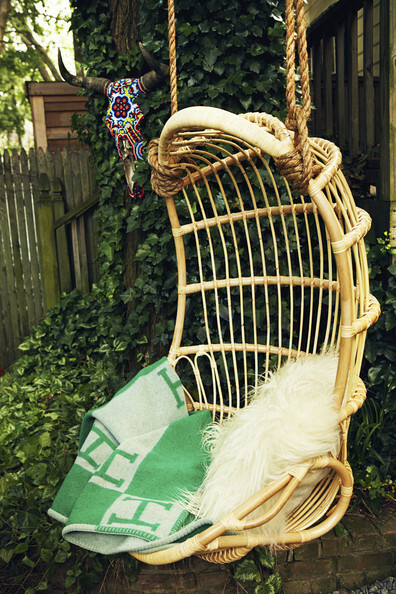 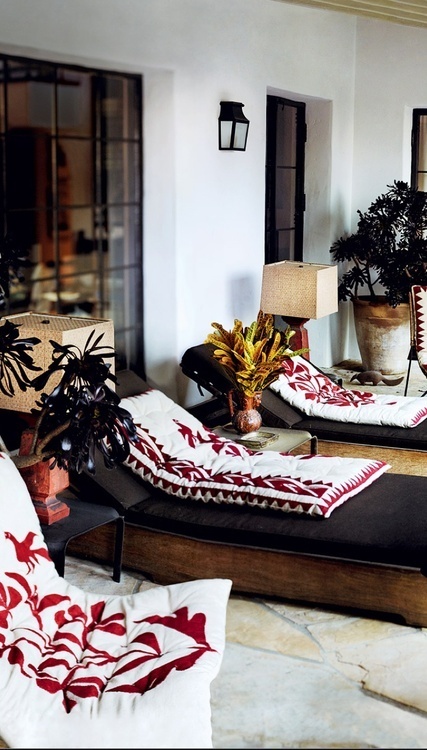 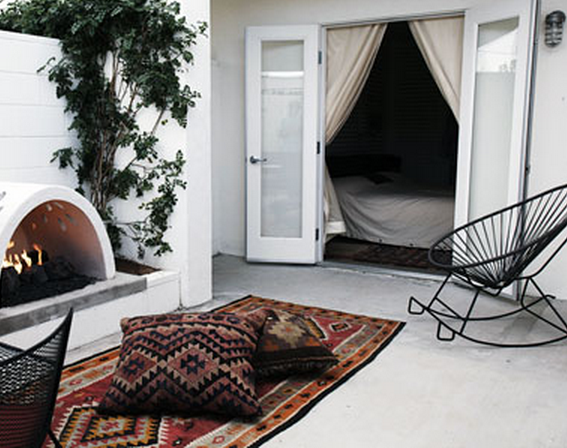 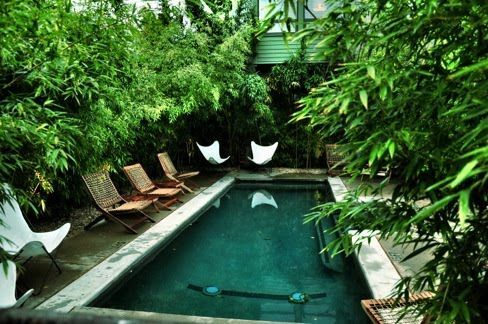 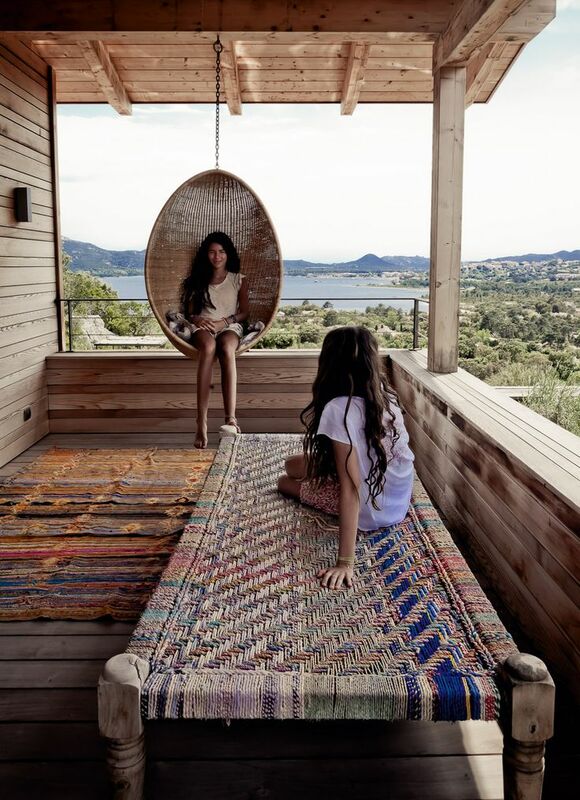 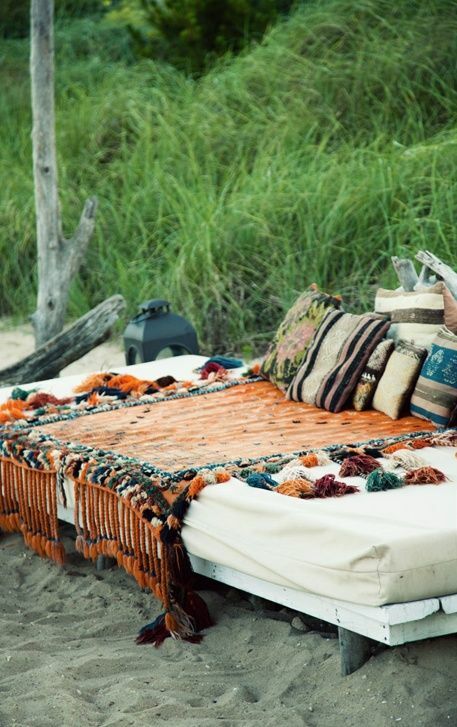 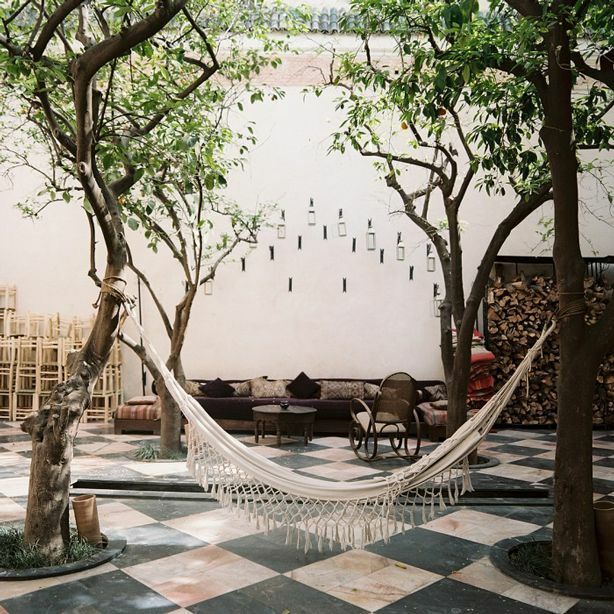 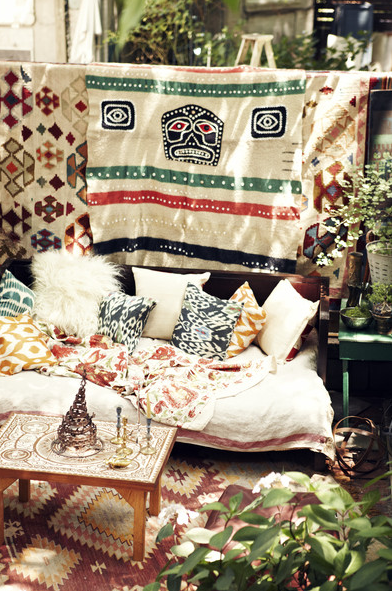 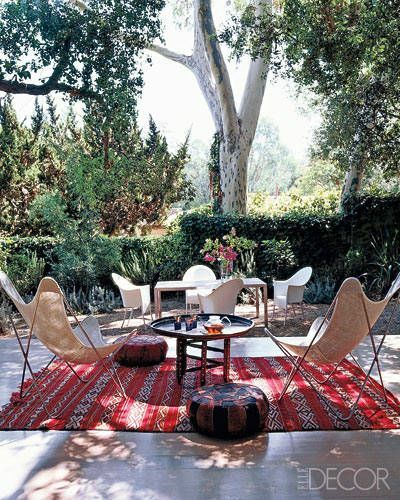 i like the idea of transforming whatever form of backyard i have into a bohemian oasis. 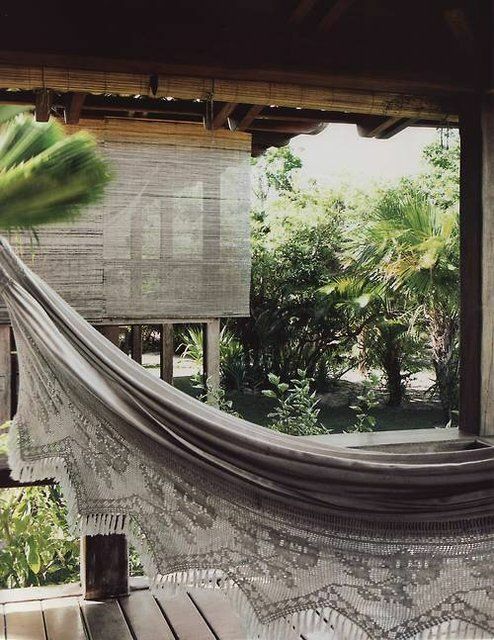 i picture small dinner parties, wearing off the shoulder faded black linen, good wine and simple food at night and hanging out back there for an extended morning doing the crossword over a cup of coffee, with my shnoog snuggled on a floor cushion.